Switch #3 from the left looks like a spoiler up/down switch. Where can I find these ? It looks like a Porsche switch but I can't recall seeing one in a 964. Okay, my curiousity is peaked (piqued?). 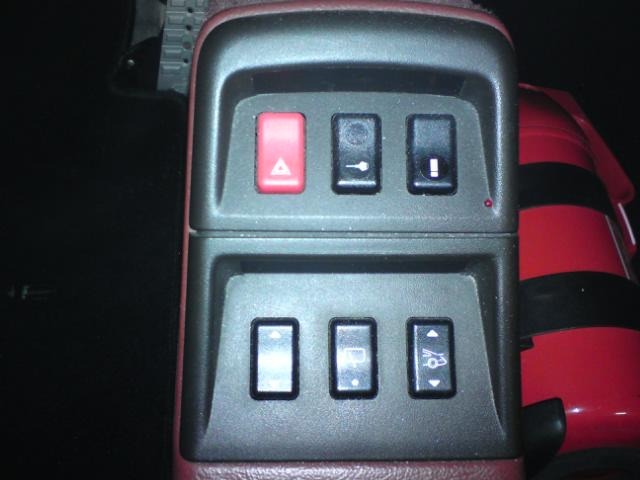 does anyone have a pic of a 964 (or even a 993) with the center console removed (and the switches moved to the block-off plate)? I guess I am most interested in seeing what the shifter stalk now looks like and if the e-brake needs to be remounted directly to the floor (as opposed to the console). Thanks for any contris of pics. No pic for you, but the parking brake is not mounted to the console anyway. It is mounted to the top of the tunnel. The console and related trim just fit over it. Thank you very much. So much easier with the part no as well. Heres a pic of the center console of a 993.